White fillings and bonding procedures are a natural colored dental material (composite resin) used to fill decayed teeth. Composite fillings have been practiced and have been technologically improved since the early 80’s. Old silver amalgams were originally an alloy which included mercury, tin and copper. Due to controversy over the health affects of mercury fillings white fillings have always been mercury free. Considering the cosmetic dentistry boom in the last few years, many patients have elected to replace old silver (amalgam) filling materials with a the new composite filling. Contemporary adhesive bonding agents allow the dentist to bond composite onto or into a natural tooth. These adhesive properties will strongly bond and strengthen a tooth making it more resistant to fractures, unlike amalgam fillings. 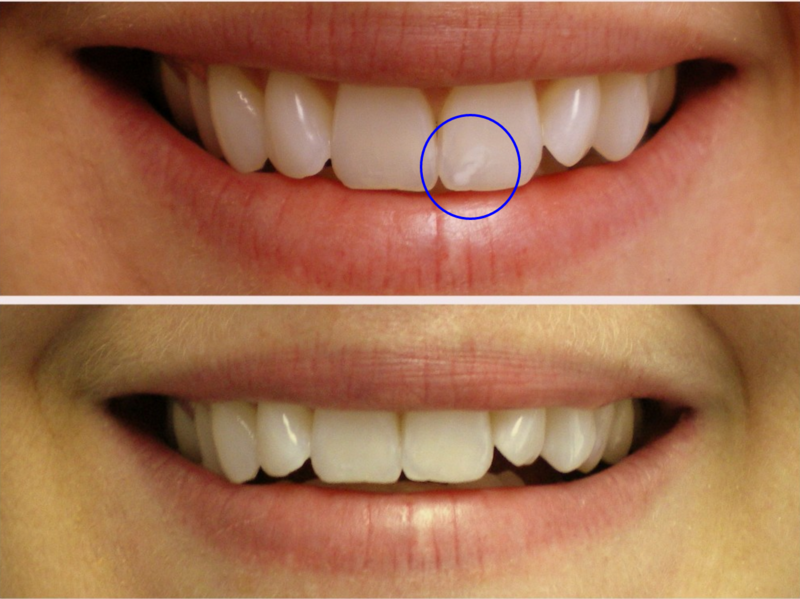 In addition to composite white filling’s ability to restore your teeth they are natural in appearance and wear much like a natural tooth would wear. 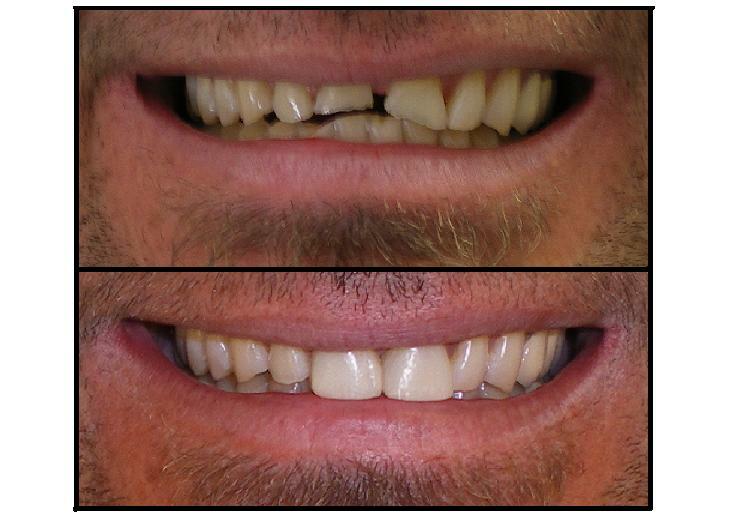 Tooth Bonding (shown in the uppermost two images at right) is a very conservative treatment because it involves a minimum of grinding of the tooth in preparation. If you have especially sensitive teeth this might be an option to consider. 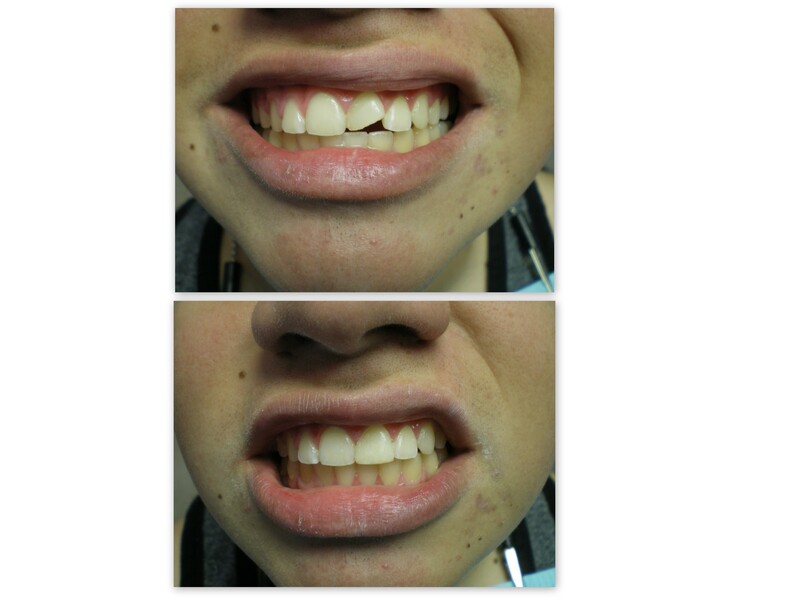 If you’re interested in using tooth bonding to restore your teeth feel free to give Dr. Sebastian a call at either his Huntington Beach dentist’s office or his dentist’s office that serves Corona/Riverside. 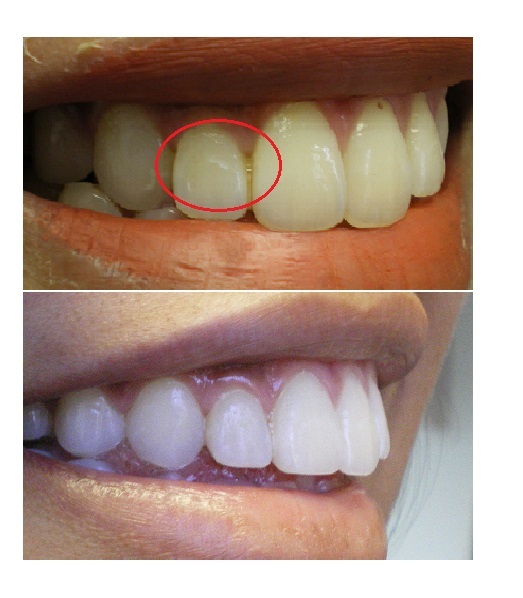 How to get rid of white spots on teeth? Resin Infiltration. Orthodontic Treatment- when the patient’s dental hygiene is poor, bacteria collects around the braces. These bacteria around the braces will decalcify the dental enamel. This turns into white spots on your teeth. Hypo calcification on enamel. This occurs during the development of teeth. The patient has no control over this. 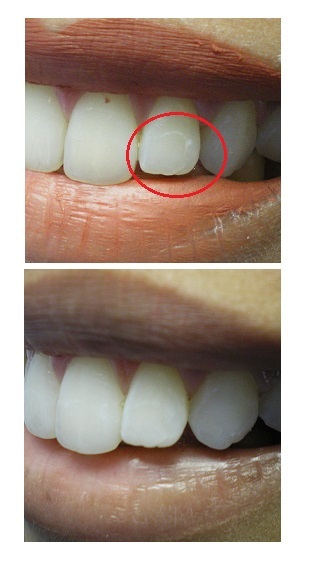 The white spot is on the tooth when it comes in. 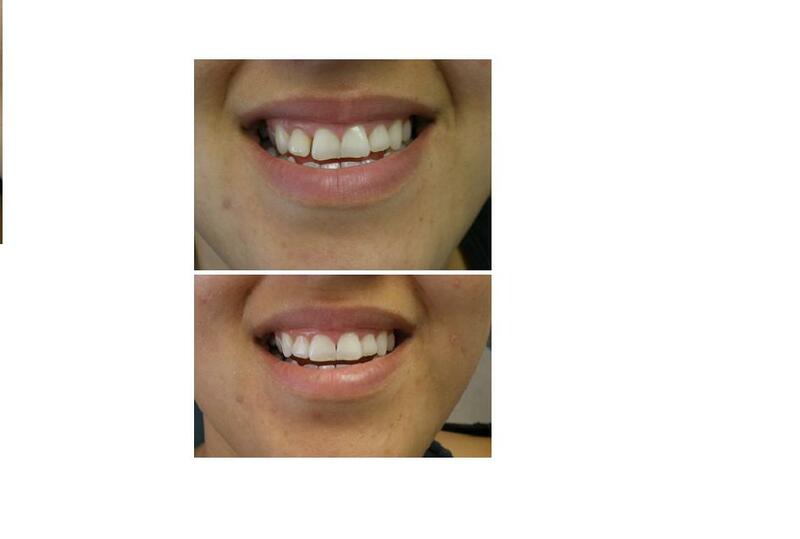 How to fix white spots on teeth? The most conservative treatment is resin infiltration. The image below is an actual patient.